MEMS is a thriving research community offering MA and PhD programmes. We have close relationships with Canterbury Cathedral and the Canterbury Archaeological Trust. MEMS postgraduate training includes key research skills such as Latin and palaeography. 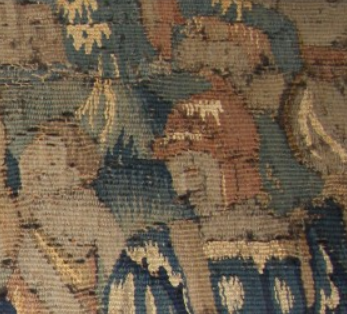 We are an interdisciplinary centre for the study of Medieval and Early Modern periods. With 28 staff drawn from English, History, Architecture, Classics and Archaeology, History and Philosophy of Art and the Canterbury Archaeological Trust, we are able to offer a wide range of research and teaching expertise. The Centre for Medieval and Early Modern Studies (MEMS) at the University of Kent offers a successful, interdisciplinary MA programme which attracts students from across the world. The MEMS MA can be studied in the historic city of Canterbury, or students can choose to share their year between Canterbury and Paris. A thriving community of enterprising, supportive graduate students study for research degrees and benefit from a rich and stimulating research culture. MEMS' brings together a distinguished group of expert academics from a range of disciplines across the University's Faculty of Humanities, including history, English and comparative literature, classical and archaeological studies, history of art and architecture. The Centre has close relationships with Canterbury Cathedral and the Canterbury Archaeological Trust which allow our students access to a wide range of unique historical, literary and material evidence. We are within one hour's journey time of London and two hours' of Paris, and have excellent links to national museums, archives, libraries and galleries.